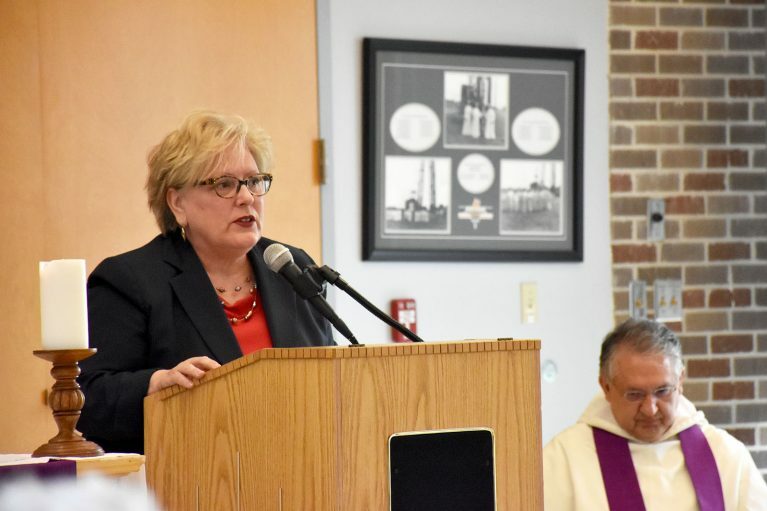 At the Lenten Evening of Reflection, alumnae, family, and friends of Dominican gathered in Alumnae Hall for an opening reconciliation service led by Chaplain Fr. John Restrepo, O.P. 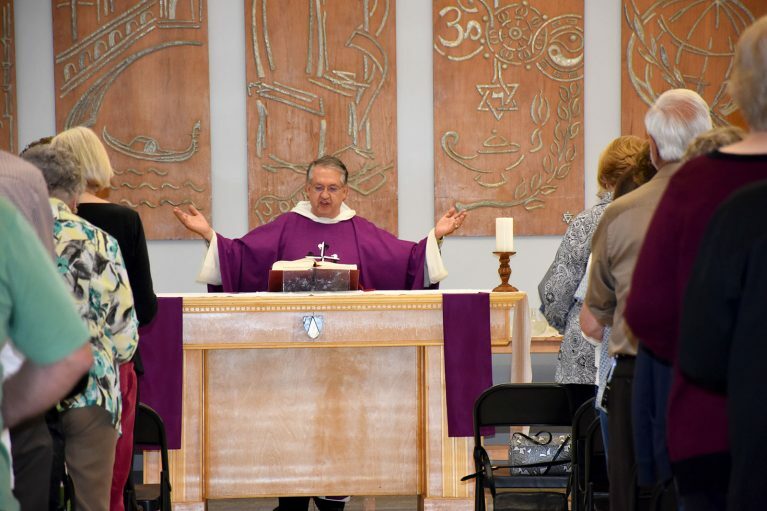 Before the celebration of Mass, there was a Communal Act of Contrition, with Fr. Restrepo, Fr. 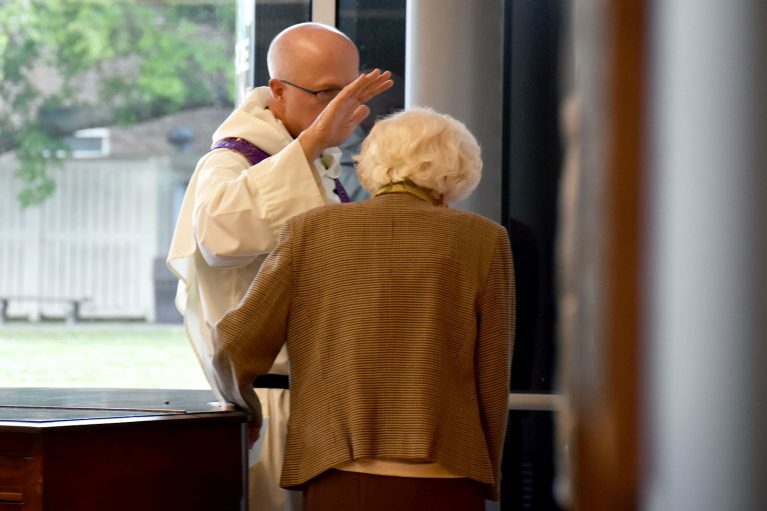 Bob Massett, and Fr. Charlie Johnson, O.P. giving individual reconciliation. 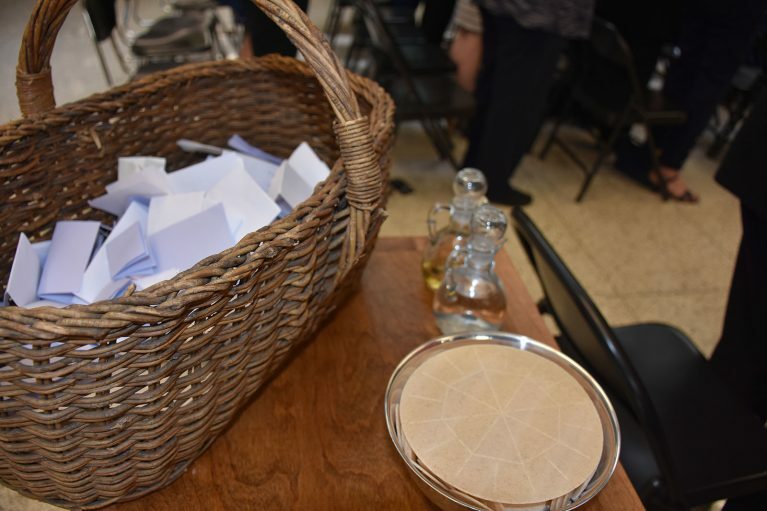 The written offerings by those who attended, will be burned at the Easter Vigil Fire on Holy Saturday at St. Dominic Church. 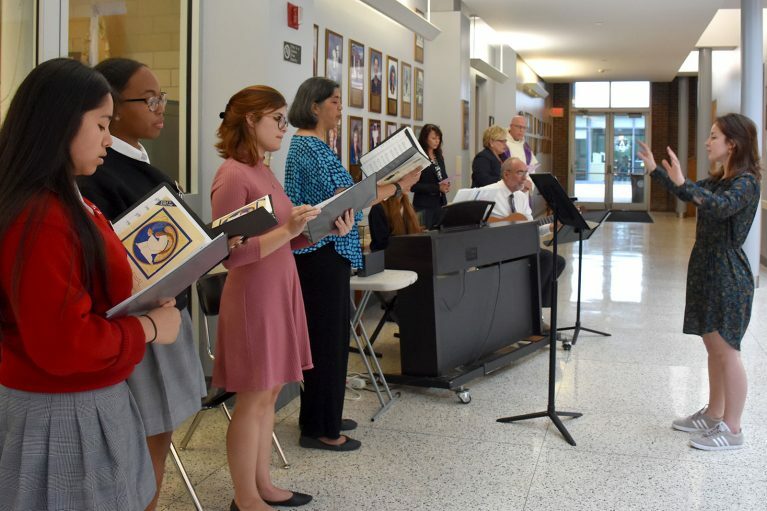 Musicians for the Lenten Evening of Reflection were Ms. Brenda Castillo, Ms. Lauren Bordelon, Mr. Kenny Lannes and the Dominican Liturgical Music Ministry Team.